If my hair looks slightly more orange than usual, it’s because I’ve been eating winter squash every meal of every day for the past four plus weeks. Oh. Wait. The hair is actually going back to being blondish-orange, just like when I was five. By that I mean I’ve been plucking gray hairs with a vengeance because apparently two years past the quarter-century mark, and the aging process has progressed significantly. What’s more, I carry a heating pad around to warm my old-lady bones most days, and the stair handrails at work are especially useful for pulling my body up to the fourth floor office. Okay. Slighht exaggeration. Turns out I can be lazy and dragging myself up the stairs is the best way to get to the top given the no-elevator-unless-more-than-three-minutes-late-to-an-important-meeting policy I’ve implemented. Heating pad story is true though(!) 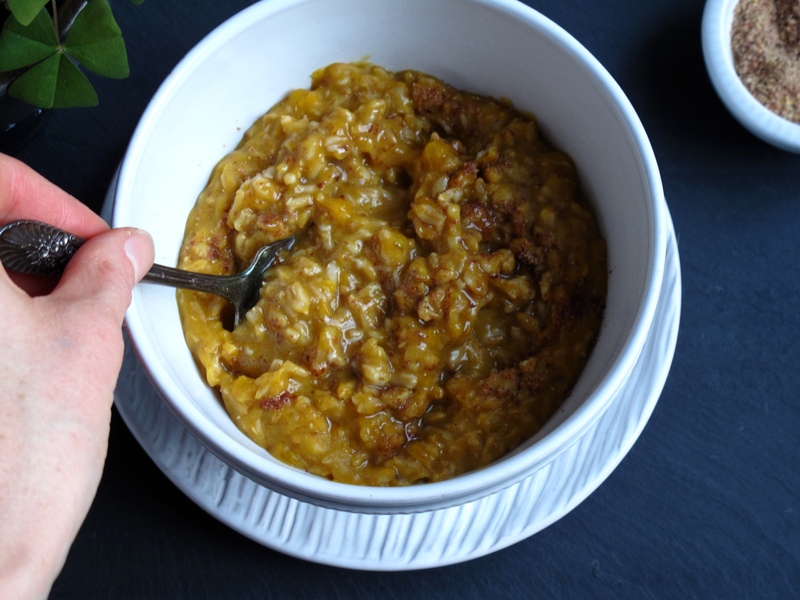 Okkkkay let’s skip the eye rolls and aging talk and get to this winter-squash porridge, now please. There may be a fair amount of recipes for mornings in this space, but most are never eaten for breakfast! I love breakfast foods, but I grew up regularly eating Stink Bug Porridge, aka oatmeal with raisins, and I’m ruined forever to anything but porridge-y foods in the morning. Don’t ask how my dad giving it that terrible nickname led me to beg for oatmeal even more. William and I eat oats most mornings and though he never deviates from his stink bugs, I’m constantly changing up the ingredients, depending on the season. Lately I’ve been see-sawing between pears and pumpkins, always adding a bit of spice. I was inspired by this pie that uses Garam Masala, but since pie is not exactly an everyday food around here and our Thanksgiving last week involved pie eaters that favor traditional flavors like Chocolate pudding(?!? ), porridge was a better bet to experiment with. So…most other breakfasty items actually get rebranded as dessert. Don’t get me started, people that know me. Yes, I consider healthified muffins and granola dessert. Also, eating bacon earlier than 4pm should be outlawed and breakfast sausage is just not my thing. I knowwww. Girl grew up on a cattle ranch and can happily eat mostly-vegan for weeks at a time. So weird. My siblings often joke about my first memory, age two, of being dropped on my head off a horse (a story for another day! ), and if it weren’t for William being so completely normal–aka eating real dessert and bacon for breakfast–my parents would probably disown me. 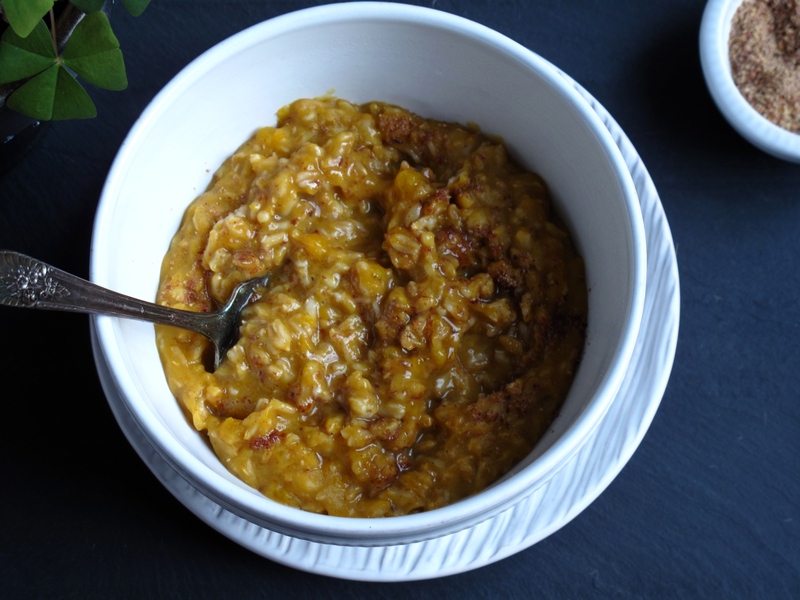 In a small saucepan, boil water, and then add oats and winter squash. 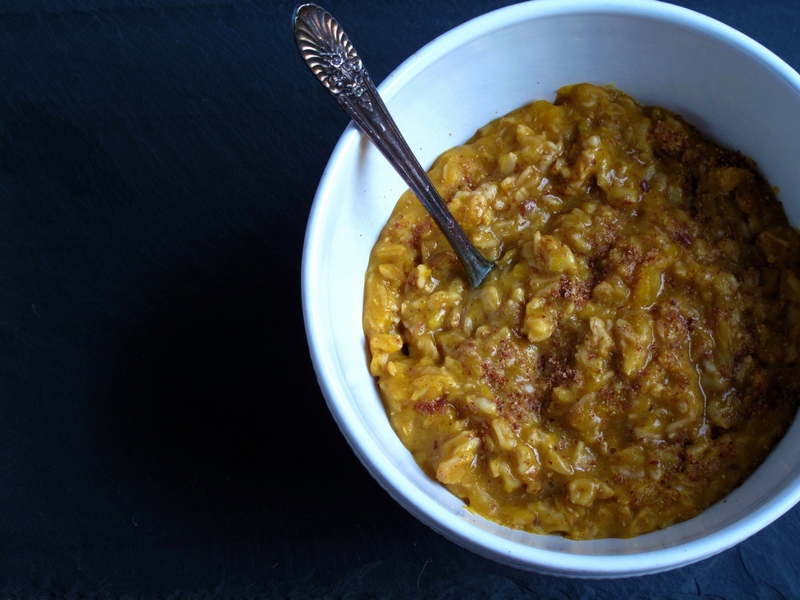 Turn down to medium heat and cook until most of the liquid is absorbed and the oats are tender, about 8 minutes. If the squash does not readily break apart, mash it with the back of a spoon. Stir in the spices and seeds and turn into a serving bowl. Add sweetener to taste. This is amazing! Haha, I just started rekindling my love for Garam Masala and have been putting it in everything! 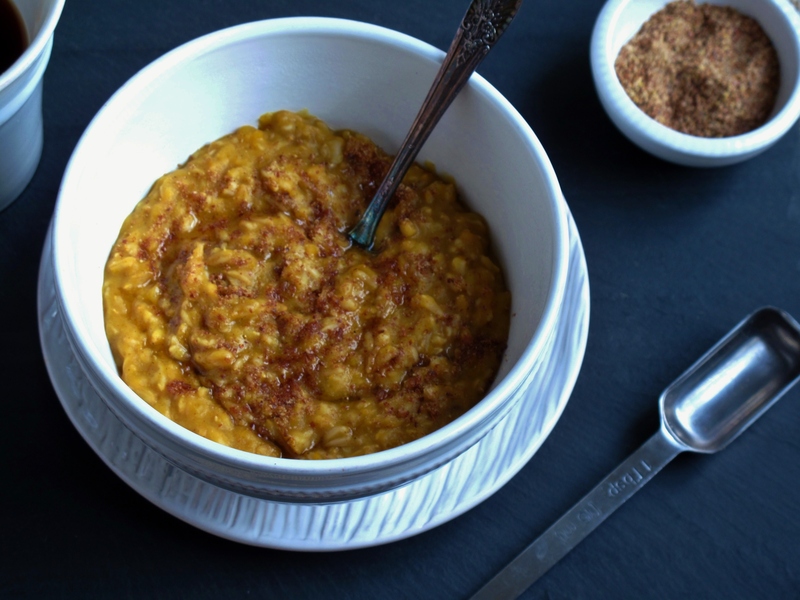 I never would’ve thought to put garam masala into a porridge! Definitely going to try this out! :D Thanks for sharing!